Romesha attended Holy Family Convent in Colombo Sri Lanka through high school. She received her AMI Primary diploma from Good Shepherd Maria Montessori Training Center in Colombo, Sri Lanka. 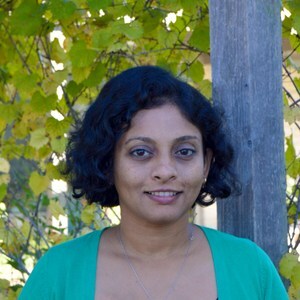 She has taught for over 10 years in Sri Lanka, at the Anaheim Montessori School in California, and the Montessori House for Children in Richmond, TX. She joined the St. Catherine’s community in 2013. Romesha also completed the Catechesis of the Good Shepherd Level 1 training in 2018. She came to Houston with her husband after getting married in 2008 and has one daughter in Lower Elementary. Romesha enjoys gardening, making handmade cards, learning to play the ukulele, crocheting, and taking nature walks with her family. She loves that children in a Montessori environment “are treated as a unique gift from God with immense potential”.